An article titled “OMG, Not GMOs!” was published recently on the popular Wichita Mom’s Blog that my wife and several friends lead me to. After reading it and the Facebook comments that followed, I felt compelled to respond. Many opposed to the information below will predictably suggest that I cite actual scientific journals. As we all know, there is a never-ending plethora of scientific agricultural and health related information on the web. I encourage you to do your research and take some time to truly learn about the source of the information you’re reading. Then and only then are you equipped to make a decision about who you choose to trust. Today, more than ever before, Americans are looking for ways to live more conscientiously. Most of us know someone who has been afflicted with some sort of chronic disease or condition. Sure there are many reasons for chronic disease such as diet, lack of exercise, exposure to other environmental toxins, and sometimes genetic predisposition, but it’s hard to ignore the direct correlation between the introduction of Genetically Engineered crops in the 1990s (as well as the application of glyphosate herbicide on those crops) and the huge increase and prevalence of both disease and chronic health conditions in Americans. While correlation does not prove causation, it’s important to acknowledge the correlation and do our own due diligence when it comes to the food we not only consume ourselves but also the food we feed our families. And speaking of the food we consume, what about the food our food consumes? According to the USDA, more than 90 percent of the crops used for conventional livestock feed (corn, soy and alfalfa) are GMO grains. Cows (ruminants) don’t naturally eat grains, they eat grass. A cow’s stomach is not designed to eat grains and doing so makes them sick. GMO’s aren’t the only thing to be concerned about. Approximately 70% of the antibiotics sold in the United States are used in cattle and poultry production. 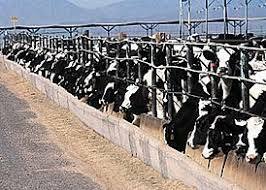 A CAFO (Concentrated Animal Feeding Operation - sometimes referred to an AFO, which stands for (Animal Feeding Operation) is a “farm” in which animals are raised in unnatural confinement. These systems congregate animals, feed, manure and urine, dead animals, and production operations on a small land area. It’s no surprise that animals raised in these completely unnatural systems are sick! Here in Kansas, when you drive by a feedlot or farm and see cattle standing in a fenced area containing nothing but mud/excrement and not a grass-covered pasture, you’re seeing an AFO and on the larger scale, a CAFO. Also, when you see those long buildings on a farm and hear that it’s a pork or poultry farm, that building is completely packed with sick, confined pigs and/or chickens; again, a CAFO. In addition to other major human health problems, these practices are specifically what has caused the antibiotic resistance crisis in the U.S. 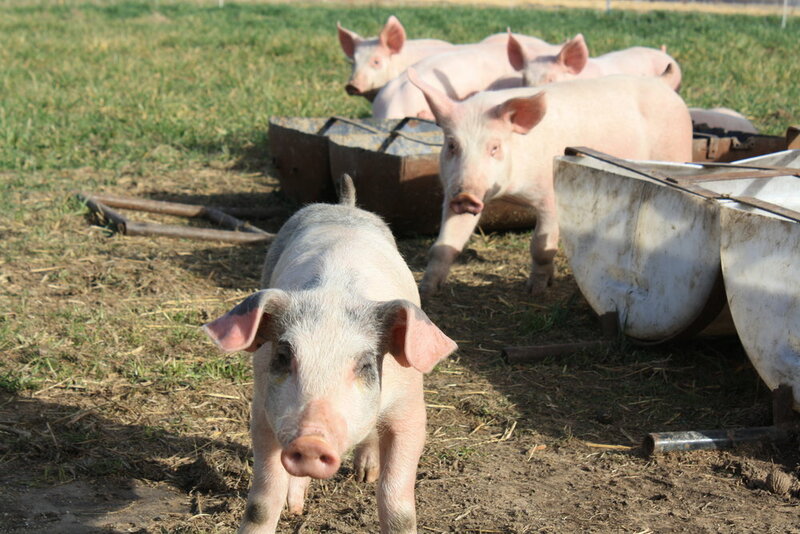 There are better methods of raising happy and healthy livestock. We now realize that industrialized, animal feeding operations cause extreme damage to the environment, human, and animal health. These shocking conventional practices only serve to line the pockets of people caught up in their system and takes full advantage of consumer ignorance. Response: While most companies are transparent about what’s in their food (as it should be! ), the GMO industry spends hundreds of millions of dollars to hide information from you about the products they make. 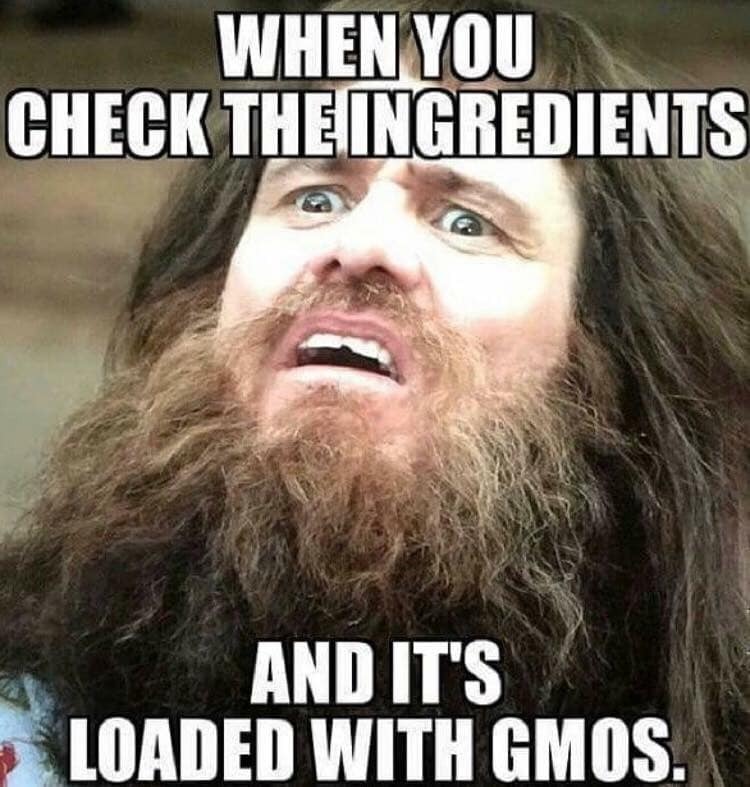 They claim their products are safe for you to consume and good for the planet, while utilizing the best new technologies, yet they don’t want you to know what’s in your food. Don’t you want to know what’s in your food and exactly what you are feeding your family? There’s a popular saying that goes something like this: If you aren’t infuriated at our “food system” then you’re not paying attention. Are you paying attention? Response: Good! At least we know the label is causing you to at least consider the importance. The “famous butterfly label” means it’s Non-GMO Project Verified. They are the only independent, third-party program that requires ongoing testing of ingredients that are at high risk of being genetically modified. According to the Non-GMO Project , the verification “is a meaningful and achievable way for suppliers, brands and retailers to show their commitment to providing consumers transparent choice in the marketplace.” Choice is a key word here. As consumers, we have the right to know what’s in our food, which allows us the freedom to choose what we spend our hard-earned dollars on. That label reflects consumers voting with their dollars. It’s representative of the distrust for the companies that want to feed us the foods that they work so hard to hide from us. Response: The author cites that there are only 10 genetically modified crops and she is correct. 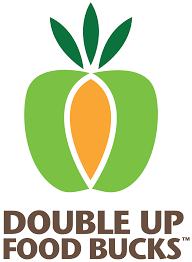 The 10 genetically modified crops available today are: alfalfa, apples, canola, corn (field and sweet), cotton, papaya, potatoes, soybeans, squash and sugar beets. While 10 doesn’t sound like a lot, consider that corn and/or soy is in most conventionally processed foods. GMO alfalfa is also commonly used to feed conventionally raised cattle. So actually, GMOs are in almost all conventionally processed foods! Fun Fact: Any food labeled as Certified Organic, is NOT genetically modified. Response: Farmers, ranchers, and scientists in every imaginable field are on the task because multi-national food and agrochemical giants hire them. That is not a reflection of the good the industry creates and doesn’t mean that these foods are safe. It’s a job. Conventional industrialized agriculture became widespread after World War 2 and was developed to make farming more efficient. The problem is, it achieves that ‘efficiency’ at a major cost to human, animal, and environmental health. 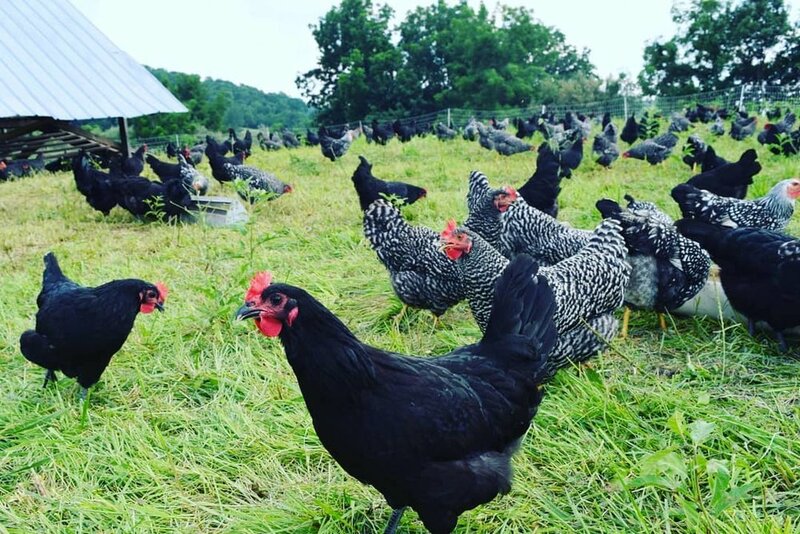 It relies on huge inputs of synthetic fertilizers, synthetic pesticides, growth regulators, livestock feed additives, medications, and fossil fuel based products. Moreover, the system’s perpetual cycle of loans, government subsidies, and massive debt isn’t working for American consumers, tax payers or the conventional food producers themselves. 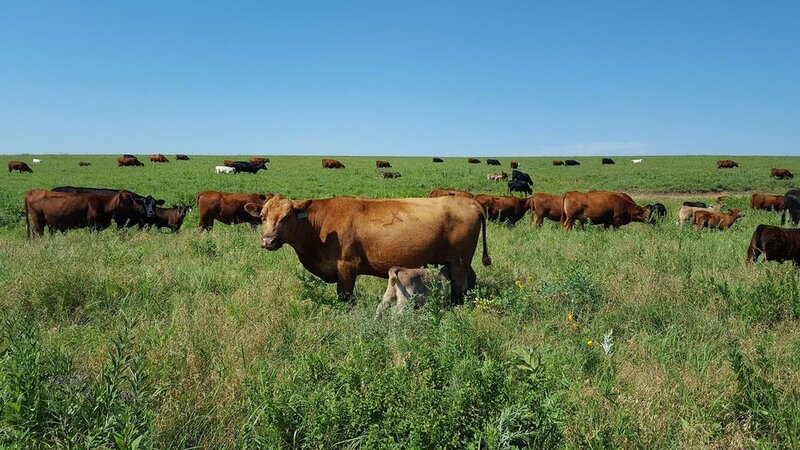 On the other hand, organic, regenerative and/or sustainable agriculture or holistic livestock grazing relies on rotation, animal and plant manures as fertilizers, and biological pest control as the base of the production system. It safely sustains the health of people and the planet. These agricultural systems rely on ecological processes, biodiversity, and cycles adapted to local conditions, rather than the use of inputs with adverse effects. Organic food is one of the fasting growing segments of American agriculture. Agriculture Secretary Tom Vilsack said. 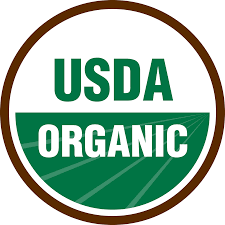 "As consumer demand for organic products continues to grow, the USDA organic seal has become a leading global standard. The increasing number of organic operations shows that USDA's strong support for the vibrant organic sector is helping to create jobs and opportunities in rural communities." Response: The fact that food companies are now labeling everything they DO NOT contain isn’t misleading, it’s enlightening. Today, better companies have taken it upon themselves to do the right thing and produce safe, non-toxic food and they want be clear about what they are not. The author also mentioned, “seeds that are drought tolerant and disease resistant (aka GMOs)”. Response: Drought tolerant and disease resistant seeds are naturally created through hybridization, not GMOs. I want to be clear, hybridization is NOT genetic modification. People regularly get the two confused. Let me explain. Crossing specific parent plants produces a hybrid seed (plant) by means of controlled pollination. The resulting seed then produces a plant with very specific and identifiable genetic characteristics from both parents. Crossing two plants creates characteristics that help the plant overcome things like drought stress and extreme weather conditions, they can produce higher yields, and be more disease resistant. A hybrid seed/plant is akin to a Labrador dog mating with Poodle - a Labradoodle. Completely natural. Genetic Modification, on the other hand, creates combinations of DNA that do not occur in nature or through traditional crossbreeding (hybridization) methods. Genetic modification can only be accomplished in a laboratory. They merge DNA from completely different species; animal, plant, bacterial, and viral combinations that again, cannot occur naturally. Response: Like so many examples in life today, we love to quote corporate marketing as fact. Today, we know that industrialized conventional agriculture, including GMO crops, is the single largest negative impact that humans have on our health and that of the planet. The only people telling you that organic and regenerative agriculture can’t feed the world, are connected to the mega-corporations that control the conventional food system. These corporations have created a serious disconnect between our nutritional requirements and where and how our food is produced. They work to intentionally cause confusion, playing on the ignorance of the people and the adverse effect that they create is extensive and far-reaching. Thankfully, there’s a better way: work with nature instead of against it. Organic and regenerative agriculture is the key to repairing the damage caused by conventional agriculture. These methods use safe materials and natural, symbiotic relationships to produce nutrient rich foods, without synthetic chemicals and laboratory created, unnatural organisms. Did you know that even a poorly designed, organically managed, backyard vegetable garden produces more food per square yard than the most technologically advanced, conventional monoculture crop in today’s industrialized food system? It’s true. Producing food and a lot of it is not very difficult. The author also encourages us to look to reliable resources and suggests “a university”. Response: Seriously? Are university studies funded by agrochemical and agricultural biotechnology companies reliable? Response: Willful ignorance or the conscious ability to look the other way fabricates the guilt people feel around the subject of food, not a label or someone’s opinion. Eating healthy, real food is a choice that everyone can make, regardless of income or opportunity. Shopping at a local Farmers’ Market (many are SNAP approved, which provides low-income households with food benefits), starting or expanding a vegetable garden, raising backyard chickens, and joining a community garden are all good options. Response: Better than what? A nuclear bomb? That is without a doubt the most reckless, unwise, and ill-considered statement I’ve read in a long time. My hope is that the author is simply unaware and not intentionally trying to mislead parents into believing her statement as truth. GMO's are considered experimental technologies and some are even considered to be PESTICIDES as labeled by the FDA. For good reason, both Americans and countries world-wide are taking firm stands against GMOs. In fact, almost 30 other countries now have total or partial bans on the cultivation of GMO crops, including about 60 other countries that have significant GMO restrictions. Better? Obviously not. The agrochemical and agricultural biotechnology corporations that produce Genetically Modified, herbicide resistant crops (e.g. Roundup Ready) love to tell us that they reduce pesticide use, when they’re actually designed to do the opposite. These herbicide resistant crops are not damaged by synthetic herbicides that kill all other plants indiscriminately, allowing the farmer to use more of their product in the quest for a weed-free field. These wonderful GMOs are also the cause of most herbicide resistant weeds, but that’s a whole other rabbit hole that neither of us have time to delve into today. The point is: GMO’s are far from better for the environment. Response: Says no one unless they are financially benefiting from them. The complete dismissal of human health needs, the environment, and cruelty on a massive scale continues as a result of ingenious marketing from agricultural and industrial food companies. We’ve been trained to defend the conventional food industry, believe their products are necessary, and look the other way. Response: Actually, conventional foods do not contain the same nutritional values. Plants and animals don’t magically become healthy and nutritious. It all starts with the soil. Conventional agriculture practices work to destroy a living soil and make crops dependent on agrochemicals and synthetic fertilizers. Soil is the foundation of every ecosystem. and organic production requires more than just providing plants with synthetic macro- and micronutrients. Organic farming methods are designed to build nutrients in organic reservoirs or in bioavailable mineral forms instead of just supplying nutrients through frequent synthetic fertilizer applications. Whether plant, animal or human, what you eat eats matters! Let’s pretend for a minute that they do have the same nutritional values. Are we also going to pretend that the additional synthetic pesticides and/or Genetic Modification isn’t a factor? Did you know that in two handfuls of organically managed soil there are more living organisms than all the people on earth? That is not the case in conventionally managed soils. Soil is comprised of countless species that create a dynamic and complex ecosystem and is among the most precious resources to humans. Response: What about the ag-gag laws that now offer a civil ‘cause of action’ allowing businesses (farms, ranches and agrochemical companies) to sue whistleblowers who expose what is happening on their farms/businesses? That’s right: people can be sued for writing about conventional farms, companies and taking pictures of or filming their practices. 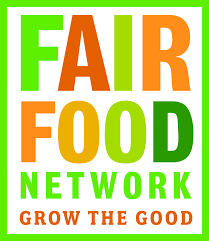 Whistleblowers in a safe and exciting food system? That has never and will never happen in organic, regenerative or local food production. I encourage everyone to do their homework and ask tough questions of food producers, ensuring that you are getting the safest and most nutritious food you can buy. Whether it’s Certified Organic, or your local farmer/producer, lets be sure to reward the true heroes in our food economy. At Old Town Farmers’ Market, the sale of GMO crops is prohibited as well as the use of artificial ingredients, including food coloring for all foods meant for human consumption. Learn more and like the Market’s Facebook page here. Food is medicine, so vote with your dollar and join the real food revolution!